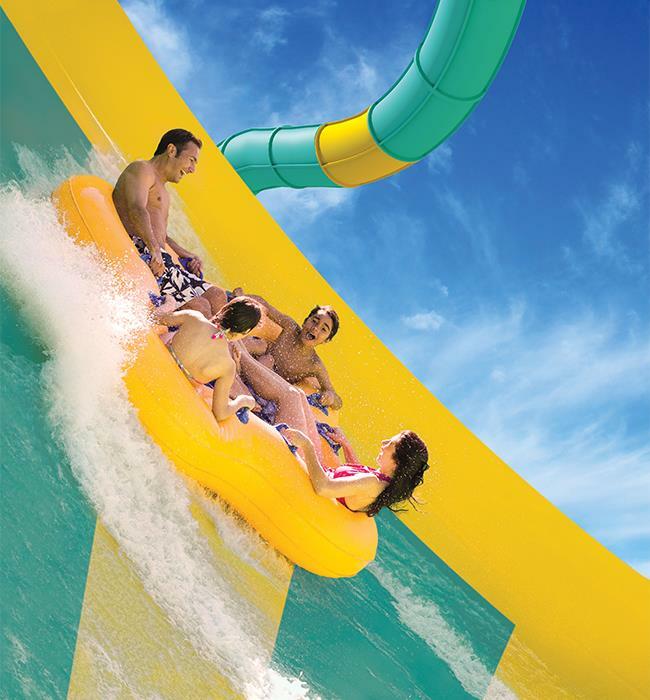 Busch Gardens® Tampa’s thrilling water park features a range of rides and attractions for the whole family. 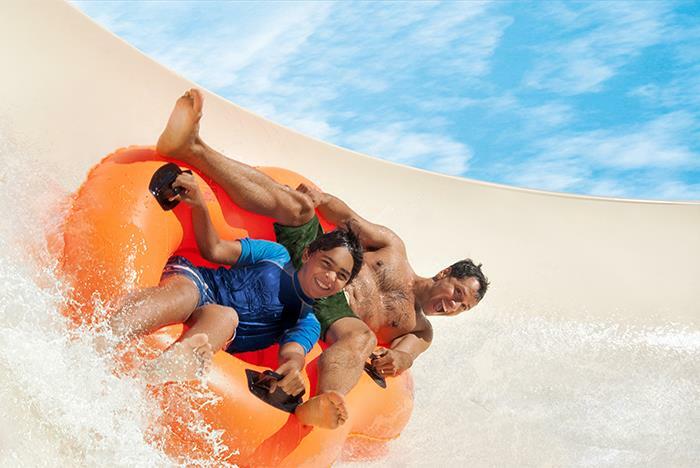 With high-speed corkscrew slides, a giant wave pool, cascading waterfalls, a lazy river, and much more, this exciting water park makes fun in the Florida sun easy to enjoy. Guests can also dine and shop at the many themed restaurants and stores, or relax in style beneath a rented cabana. Glass and alcoholic beverages are not permitted. Lines for Colossal Curl shorter in the morning. 30 acres of water rides. 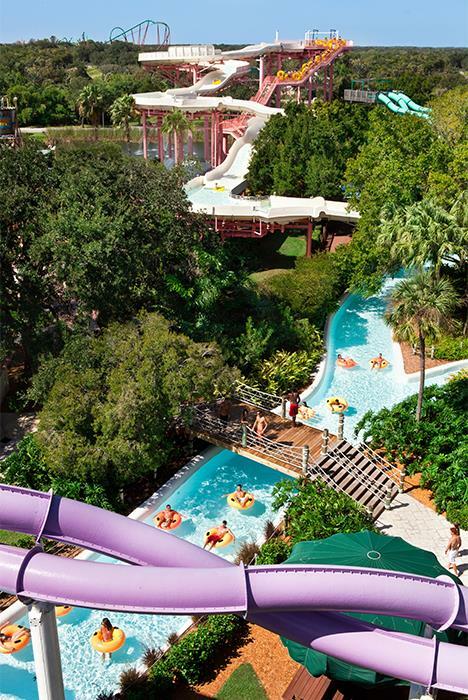 Adventure Island, Busch Gardens’ water park located in Tampa, features the ultimate combination of high-speed thrills and tropical, tranquil surroundings for guests of all ages. One step through the entrance and you’re transported straight to the Florida Keys and the laid-back lifestyle that made them famous. 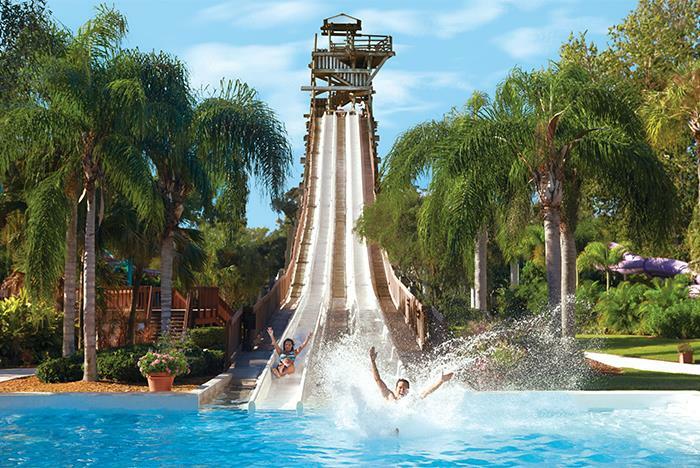 You will ease into island time in a place where corkscrew slides, waterfalls, a giant wave pool, a rambling river, and other family attractions create a laid-back atmosphere and hours of sun-drenched fun. Car, motorcycle, or camper is $20. Cars and campers are $20. 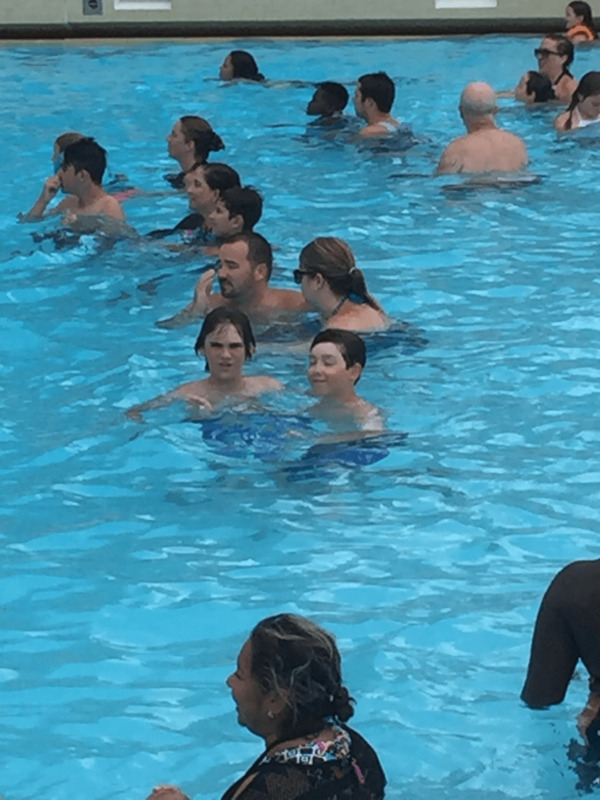 Are the pools at Adventure Island® heated? 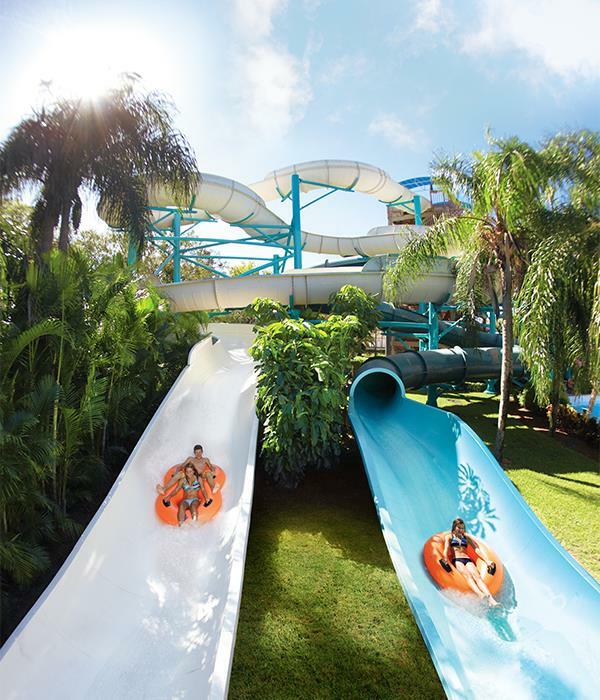 All water attractions at Adventure Island are temperature controlled with the exception of Wahoo Run and Everglides. 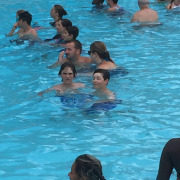 The water temperatures vary by attraction, but typically range between 75-82 degrees Fahrenheit. 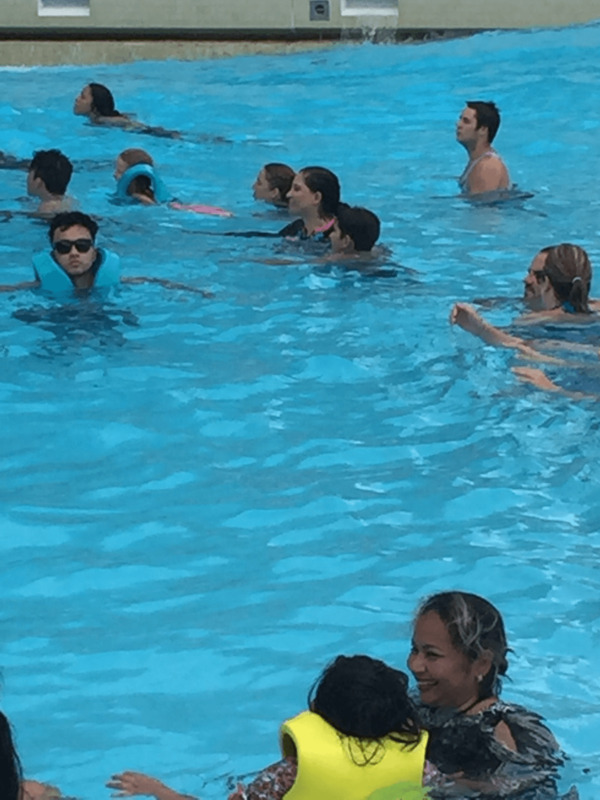 What age can my child enter the park without an adult? 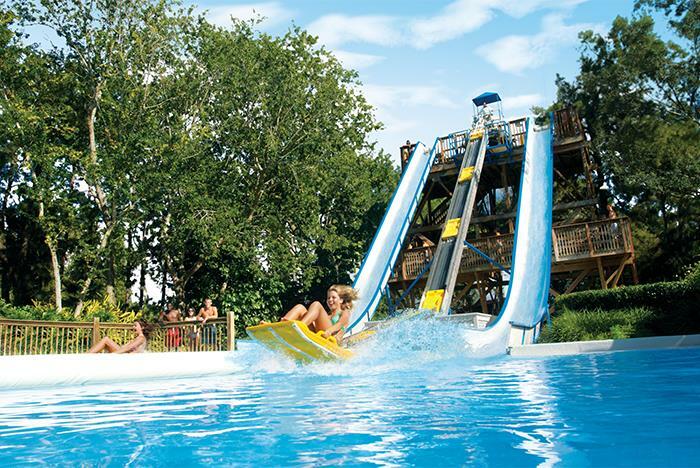 Children 13 years and under must be accompanied by an adult while visiting Adventure Island. How do I rent a Cabana or Chickeet Hut at Adventure Island? They are available for a daily rental fee. You can reserve by calling the park directly. Yes, the Island Surf Shop features a wide selection of brand-name sportswear, beachwear and other must-have summer items. Yes, they offer lockers and changing areas that make it easy to suit up. 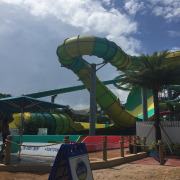 To ensure the safety and enjoyment of all Adventure Island guests, no coolers, regardless of size, will be allowed inside the water park. Outside picnic pavilions are available outside the front gate for cooler use. What attire is not allowed at the park? 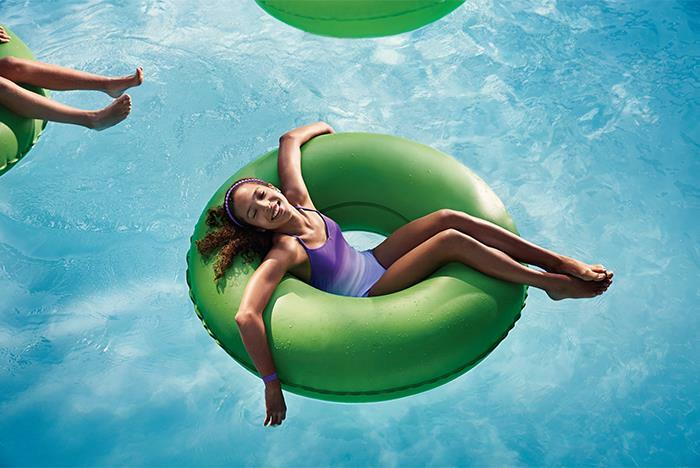 Guests may wear swimsuits or shorts, and t-shirts on rides. Thong bathing suits are not allowed. 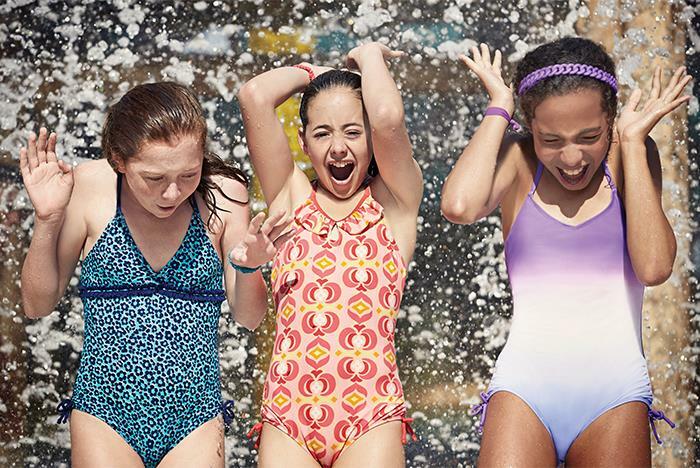 T-shirts may not be worn on body flumes. No cut-off and / or frayed Shorts are allowed. Clothing with metal trim is also prohibited. 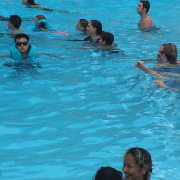 Aqua Socks are permitted on rides and in pool areas. What is prohibited to bring to Adventure Island? For the comfort and safety of our guests, prohibited items include but are not limited to the following: Weapons, Knives, Alcohol. Glass containers (exceptions are made for baby food & medicine), Coolers are not allowed, Carts & wagons, Tents & canopies, Barbecue grills, Flotation devices, Scuba masks, Portable stereos, Pets or Squirt guns. Outside food and drinks are not allowed inside. No drinks (other than water) may be taken into the park. Can I bring a camera on the rides? Due to the nature and dynamics of all rides and the potential for injury, unsecured cameras or video cameras of any size are not permitted on the rides. To store such equipment, leave with a non-rider or use the lockers that are available. 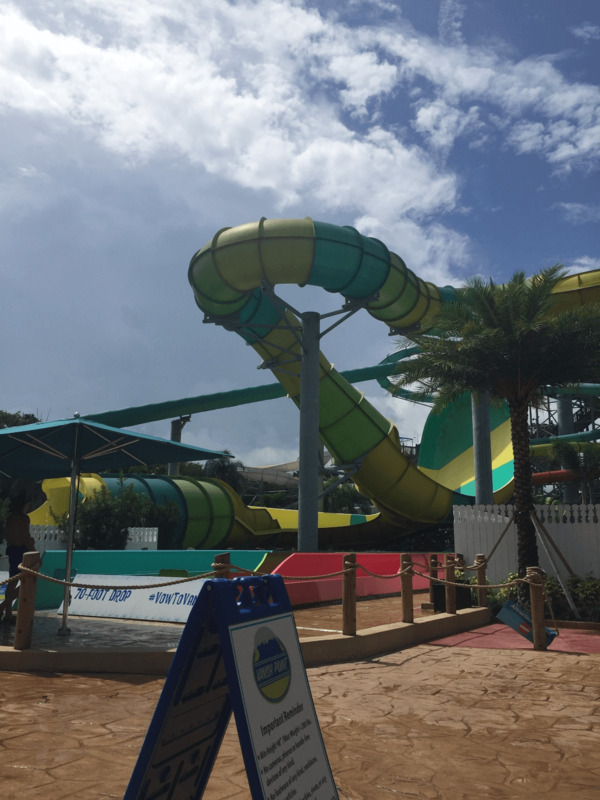 Adventure Island remains open during inclement weather, although some of the parks rides and attractions may be temporarily affected. Refunds and rain checks will not be issued due to inclement weather. 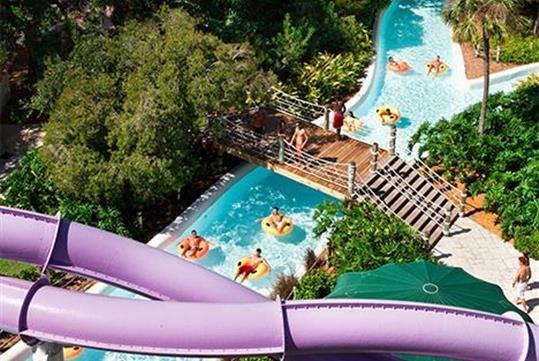 Does Adventure Island close for capacity? 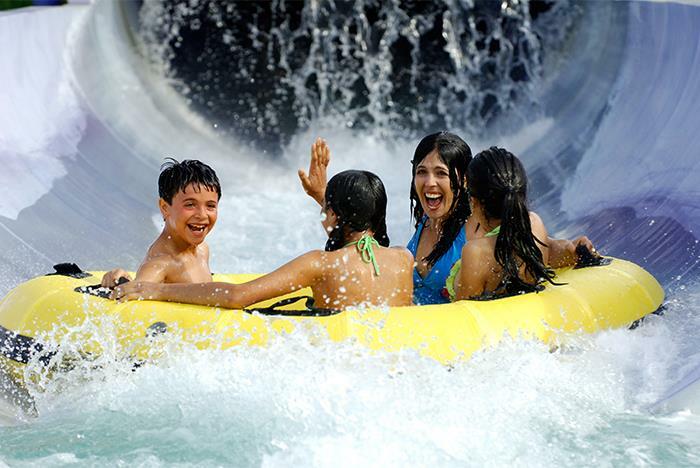 In order to ensure our guests' comfort and safety, Adventure Island’s capacity is limited. Admission into the park may be temporarily suspended during the day due to periods of high attendance. What accommodations are available for guests with special needs? 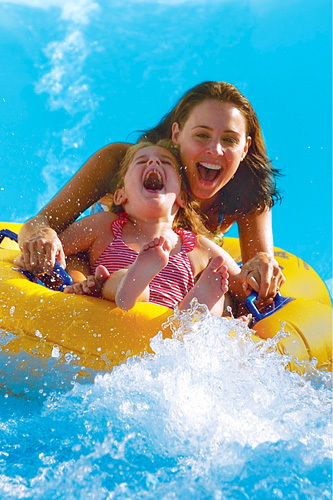 Adventure Island is committed to providing a fun and safe environment for everyone. For accommodations, please visit Guest Relations at the front of the park.